Sky has confirmed the long-awaited premiere date for Season 7 of Game of Thrones, which will once again feature a weekly simulcast at 2am, so UK fans can watch at the same time as US HBO viewers. 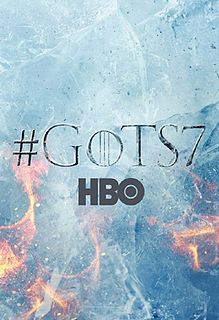 Season 7 starts 17th July on Sky Atlantic and online streaming service NOW TV, followed by a repeat at 9pm the same day. The fantasy drama has proved to be a stress test for Sky's online services, such is the demand to watch the series. Following high profile issues in 2014, Sky has acted to provide extra capacity to withstand viewing peaks in subsequent years. GoT has been the most pirated TV show worldwide for the past few years. Ahead of season 7 starting, from 1st May, every episode of Seasons 1-6 will be exclusively available on Sky Box Sets and NOW TV.